The cord-cutting movement isn't limited to consumer cable and Netflix. 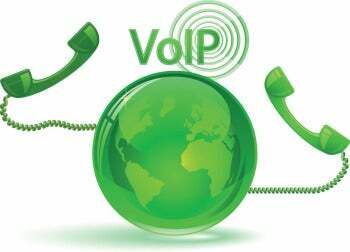 As Voice over Internet Protocol communication matures and as high-speed Internet becomes cheap and ubiquitous, an increasing number of businesses are ditching conventional landlines and jumping to VoIP. VoIP sounds almost magical: The hype makes it sound more flexible, more full-featured, and best of all, significantly cheaper than placing your calls through traditional telephone service providers. But is VoIP really all it's cracked up to be? Are the potential pitfalls worth the potential monetary payoffs? I'll walk you through the basics, discuss the pros and cons, and take a look at three commercial VoIP services of varying complexity. Generally, things are pretty simple if you're looking for a hosted service. Many of the top VoIP providers handle all the heavy lifting offsite, delivering calls to your phones and software clients without much hassle, especially if you use phones that are plug-and-play certified for the service in question. The majority require no additional on-site hardware aside from those phones; at most, you might need to find a space for a small box of hardware somewhere on-site. In contrast, maintaining a self-hosted, on-site VoIP system requires a bit more work. You need an IP-based private branch exchange—a VoIP-friendly version of the PBX phone systems that many offices use—to route your calls to the appropriate phones on your network, as well as a device called a PSTN gateway. The PSTN gateway sits between the IP-PBX software and the analog signals of the public switched telephone network, converting calls to and from digital signals as necessary. No matter which option you choose, typically you can handle the basic settings for your phone lines or extensions over the phone, while tweaking more advanced options requires diving into your provider's online account interface. Even home broadband connections can handle several VoIP calls simultaneously, though you'll need to be sure to leave bandwidth available for other applications as well. VoIP requires a broadband connection—and the more simultaneous users you have, the more bandwidth you'll need. If you work alone out of a home office, or if you have only a few employees, you won't have much to worry about; for example, on my setup, running RingCentral's Connection Capacity utility shows that my 15-mbps home Comcast connection could handle 11 calls simultaneously even if I had Netflix, Spotify, and an instant-messaging client running on the network at the same time. Make sure that your internal network—including your routers and switches—can handle the load, too. Most providers suggest using a router with configurable Quality of Service settings and assigning VoIP traffic high priority to maximize quality. If your Internet service provider has a bandwidth cap in place, you should take that into consideration as well. Most VoIP service providers use the high-quality G.711 codec for VoIP communications, which consumes 64kb of data every second you talk. In reality, even a large number of people should be able to chat it up on VoIP without having to worry about hitting bandwidth caps, but you'll want to keep close tabs on your data usage to avoid exceeding that cap. You'll need a SIP-enabled phone, such as the Snom 300, if you want to make VoIP calls. Finally, even if you subscribe to a cloud-based hosted VoIP service, you'll need to make sure your phones can communicate over VoIP. Most VoIP systems use session-initiation protocol technology to assign each phone or VoIP software client a specific address; that's how the IP-PBX routes calls to specific lines. As such, you'll need a SIP-enabled phone to make VoIP calls. (Some VoIP systems use H.323 technology rather than SIP, but those are rare.) If you want to keep your old analog touch-tone phones or fax machines, you can plug them into an analog telephone adapter (ATA), but they won't be able to use many of the advanced features that SIP-based VoIP phones provide.